Barefoot Student connects employers with college students & grads! Get text or email alerts for Academy Prep Center of Lakeland Jobs. Hire interns, college students, and recent grads. Search for internships, jobs for college students, and entry level career opportunities. We are the #1 job site for universities in 195 countries. Popular Jobs at Academy Prep Center of Lakeland. 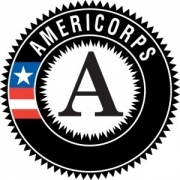 Americorps Jobs at Academy Prep Center of Lakeland. Teacher Jobs at Academy Prep Center of Lakeland. Middle School Jobs at Academy Prep Center of Lakeland. Teaching Jobs at Academy Prep Center of Lakeland. Service Jobs at Academy Prep Center of Lakeland. Education Jobs at Academy Prep Center of Lakeland.